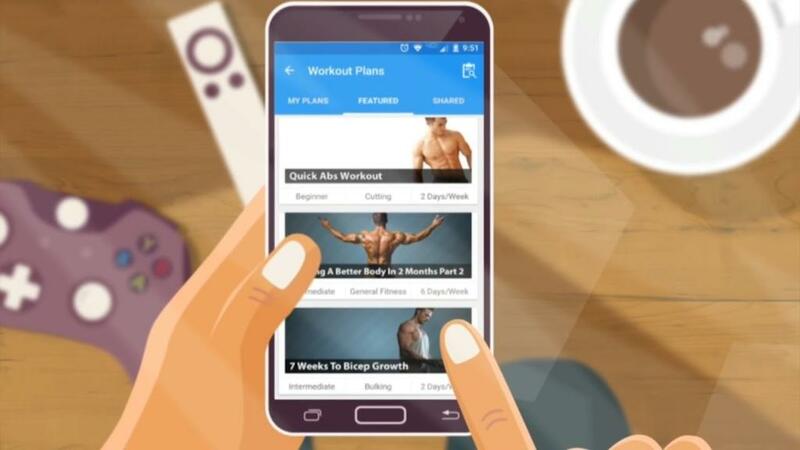 Develop the best workout app like Myfitnesspal for your fitness startup. Tips and strategies to develop the best workout app like Myfitnesspal app and How to make your workout app rank amongst the most downloaded apps? As a fitness startup, to develop the best workout app as Myfitnesspal requires learning various strategies. Read the blog to dig deep about the fitness app. The smartphones are said to be ruining our lives by giving us sleepless nights, bent backs and kinked necks. They are even blamed for causing anxiety, depression and other medical issues. However, the truth is something completely different. It is not the mobile phone that is causing these ailments but how we use it. In fact, the phones can make you fitter. How? There are the best workout apps like Myfitnesspal app that are the answer to your questions. 2018 was a year of revolution even for the fitness apps. 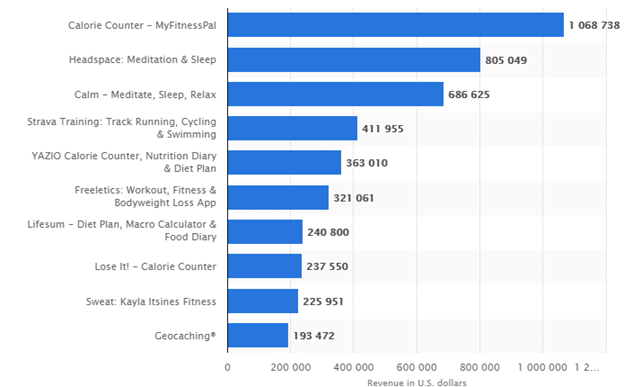 Here is the graph of the most popular health and fitness apps in the US in May 2018, by monthly active users in millions. Many of the health and fitness apps are poised to help you make you fitter, leaner, stronger and develop great stamina. The best workout apps help you to fight against the creeping physical and mental illness in the age of information technology. These apps have the advantage of the latest information-rich environment to focus on personalized coach or trainer built workouts and that too at their user’s fingertips. They work in such a manner that you can achieve faster results in very less time. These apps even help in maintaining consistency by holding the user accountable for the missed session and keeping track of the nutrition plan. There are some free workout apps that provide a variety and a change of pace, unlike the old fitness routine. As there are a lot of workout and fitness apps coming up in the market every day, you might like to know about a few of the best workout apps and their features which you can consider while creating your own fitness app. Let’s discuss a few fitness apps here. My fitness pal app was founded by Mike Lee in the year 2005 as he and his fiancee wanted to lose a little weight before their wedding. Later, the startup raised $18 million in the series A round of funding in 2013. When the investor John Doerr joined in, the app already had more than 40 million downloads which later rose to 80 million registered users tracking their calorie intake from a list of 5 million food items. 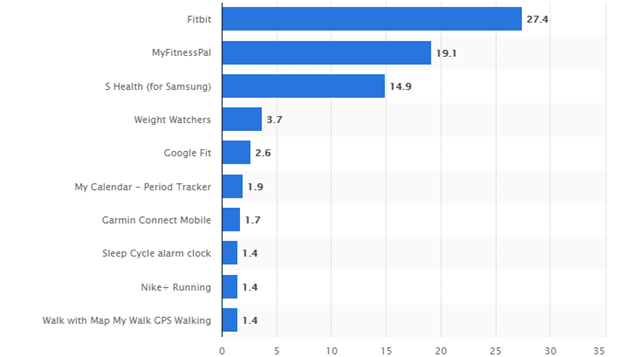 Here is a graph from statista.com that shows My fitness pal app on the top of the list of leading health and fitness apps in March 2019. The calm app ranked 3rd on the list of leading health and fitness apps. It is an award-winning Apple meditation app and is valued at $250 million. It is a San Francisco-based startup and is the closest competitor of Headspace, another app for meditation and calming. 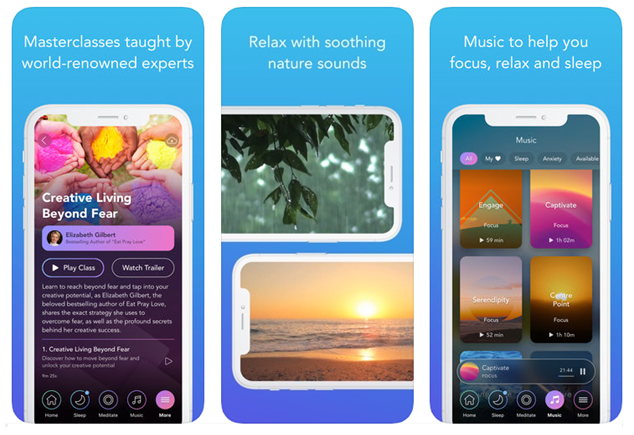 Calm meditation claims to help users in better sleeping, boosts confidence and reduces stress and anxiety with their soothing music, bedtime stories, and meditations. 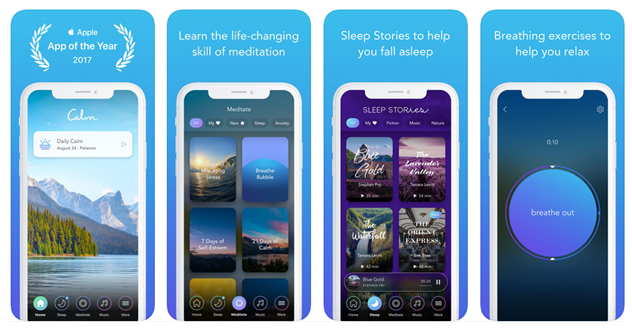 While the calm app is free for the starting 7 days, the users need to pay $ 59.99. The Strava app is used to keep a track of your fitness activities related to running, cycling and swimming. Doesn’t matter if you are training for a marathon or simply love riding your bike. You can just turn your smartphone into a tracker using the Strava app. The app helps you reach your fitness goals and meet athletes and active people just like you. You can track the distance, pace, speed, elevation gained & calories burned using the Strava app. The app can help you to mix up your training with the largest trail network. Using the app motivates you to push yourself in order to do your best. You are offered monthly challenges and allowed competing in order to improve your performance. You can compare your running, riding and swimming performances every now and then. The Strava app uses HealthKit to export your activities into its Health app and to keep a tab on the heart rate and biometric data. The fitness startups are focusing more and more on customized and convenient training. One such fitness startup named Tonal has announced raising $45 million in a funding round. Curious to find out how the fitness startups make it this big in the market and what are the strategies that you should follow in order to be a tough competitor? The most important strategy is to consider solving the problems faced by people in their day to day lives. People generally lack in diverse fitness programs. So, when you analyze the problems faced by people while working out, you get the exact way to provide a solution for them. Let’s consider the example of Tonal, its AI-powered training plans provide a different way to interact with fitness enthusiasts. Following this plan will help you to create your own footprints in the fitness industry. The next thing that you need to consider is to study the on-going trends, which will help you to know the interest of people and their needs. You will be able to provide them with the exact solutions once you get to know what exactly are your target audience interested in. If you think there are some programs that might attract your users more, it is a good idea to go with the tried and tested methods. The relevant training programs can be one of the effectual strategies to consider while building a fitness app for fitness enthusiasts. Having videos as the training medium can prove a much easier way to provide solutions and reach a greater number of audience. People like watching instead of just instructions. Providing videos from which they can choose without any stress is a good option to generate their interest and keep them glued to the app. So, do you have thoughts about developing a fitness app and then make people recognize it as one of the best workout apps? Do you have certain features for your fitness app in mind? Coruscate can help you validate the idea of your personalized fitness app. We have built over 50+ fitness apps and have many clients achieve their goals in the fitness industry. Connect with us through the contact us form to discuss further regarding the features and the cost of developing your fitness app to make huge bucks in this industry.